What’s better during the morning than knowing you’ve something awesome up your sleeve for lunch? You know back in the day how you loved those tins of beans and sausages? Well, these are homemade slow cooker beans and sausages that are here to bring back those memories and make your lunchtime better. Those little tins not bringing back joy? No, Me neither actually, I can’t stand baked beans, but these are seriously where it is at. There are lots of delicious flavours here to make your mouth water and everyone else jealous. 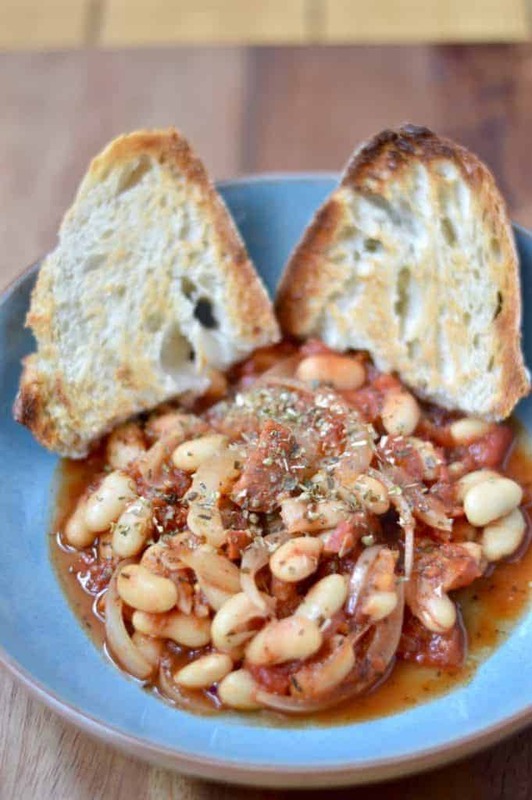 We’re talking chorizo, oregano, cannellini beans and crunchy toasted sourdough. Yeah, slow cooker beans and sausages. On board yet? 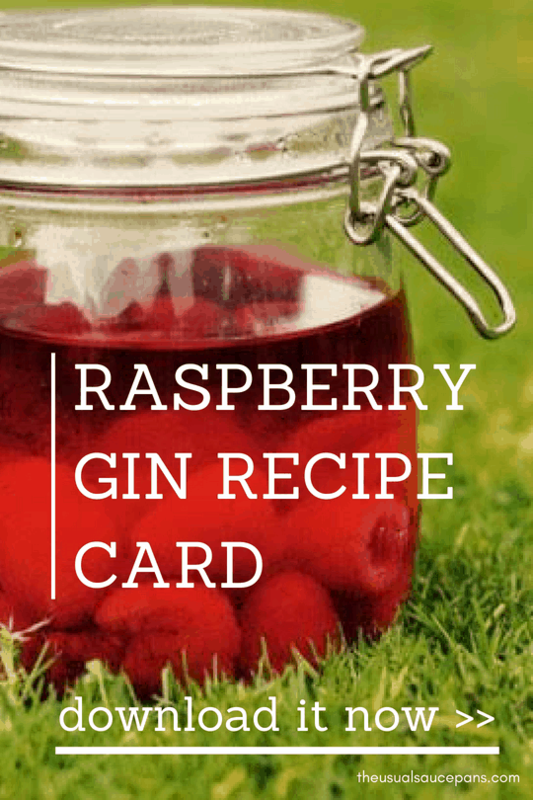 There’s actually a whole bunch of reasons to love this recipe. Number one is of course that it smells and tastes devine, but it’s more than that. 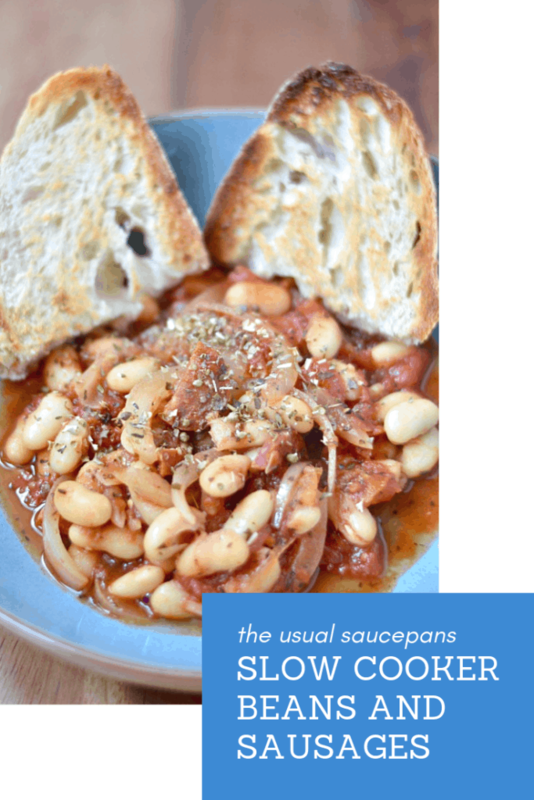 This recipe is great to batch cook – put a pot in the slow cooker (which, side note, if you don’t have one get one – I got this one on Amazon) whilst you’re doing your Sunday thing and you’ve got several lunches for throughout the week. It’s also handy – especially at this time of year – as it’s dirt cheap to make. This recipe uses store cupboard staples for the most part – cannellini beans, tinned tomatoes and dried herbs. I used tomato purée and a hint of balsamic vinegar, but it’ll work perfectly well without. These are all things most of us keep in our cupboards most of the time or are dirt cheap to pick up at any supermarket. £7 lunch from a cafe or £1 from the slow cooker, it’s not hard to make a call. If you need another reason to try this, take a look at the ingredients and think about those (save for perhaps the chorizo) that you would say aren’t healthy and wholesome. It’s got pulses, fruit (or veg, whatever you deem tomatoes to be), and a few bits of green to make up the colour chart. 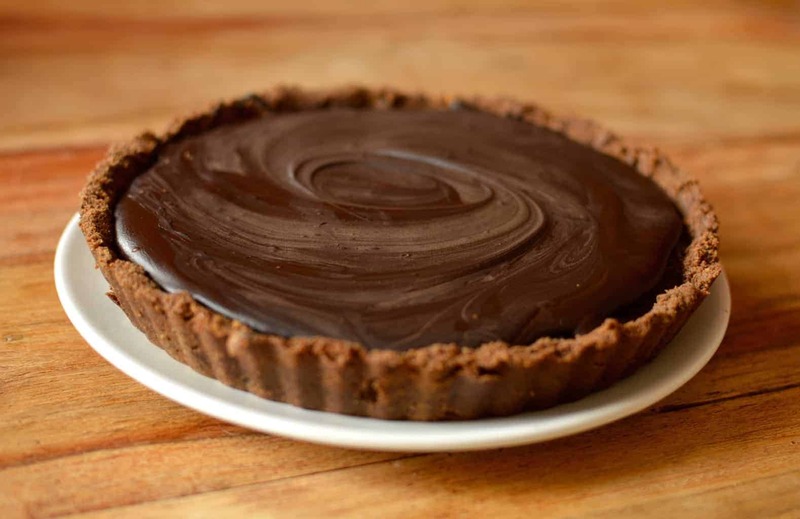 I’m not saying it’s the most healthy dish ever, but it’s certainly going to help you on your way to a healthy day. 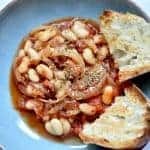 These slow cooker beans and sausages are a brilliant batch cook meal that makes for a fantastic lunch every day. Slice your chorizo and onions so the chorizo is in quarter circles and the onions are in thin ribbons. 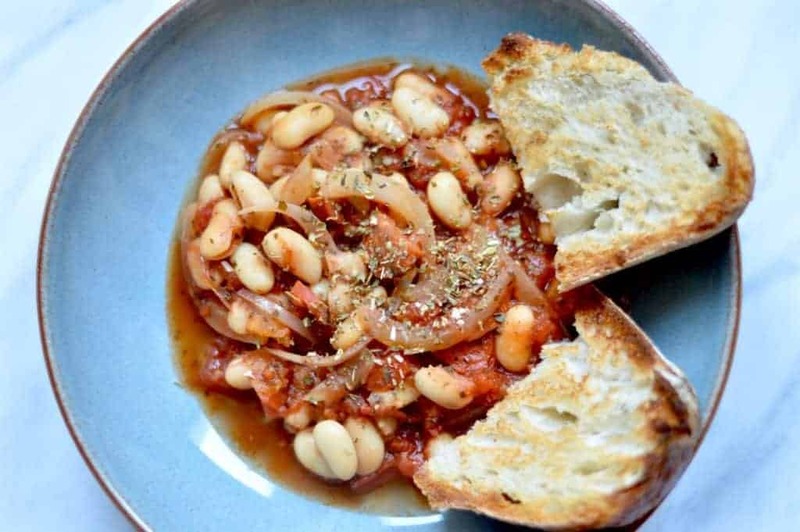 Layer the ingredients into your slow cooker – onions, chorizo, cannellini beans, passata, tomato purée, tomato ketchup, herbs and spices. Season with salt and pepper. Stir it all together and then cook on high for 1 hour. Taste and season more if required. Let it cool and serve it up for lunch with toasted sourdough.